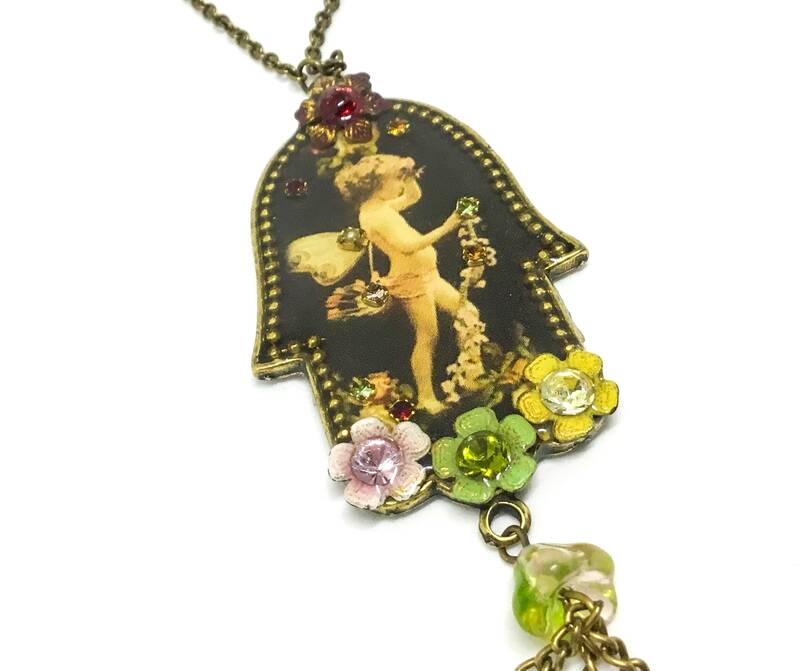 This is a fabulous vintage Michal Negrin handcrafted hamsa necklace. 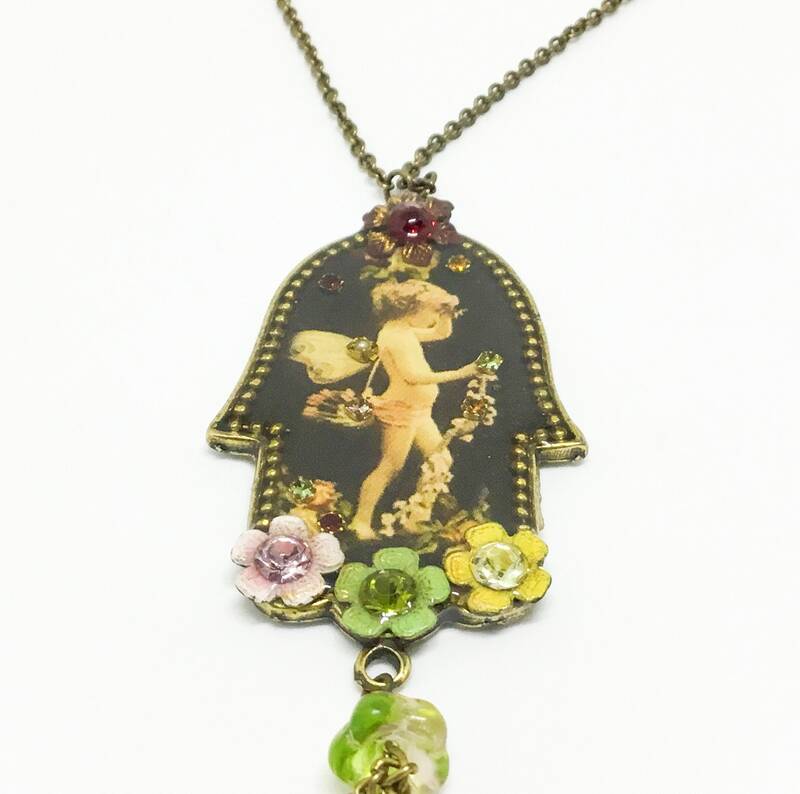 This unique piece features a hamsa or hand/palm shaped pendant. The word hamsa denotes a palm shaped amulet commonly used in jewelry or wall hangings that protects against evil forces and brings happiness, luck, health, and good fortune. 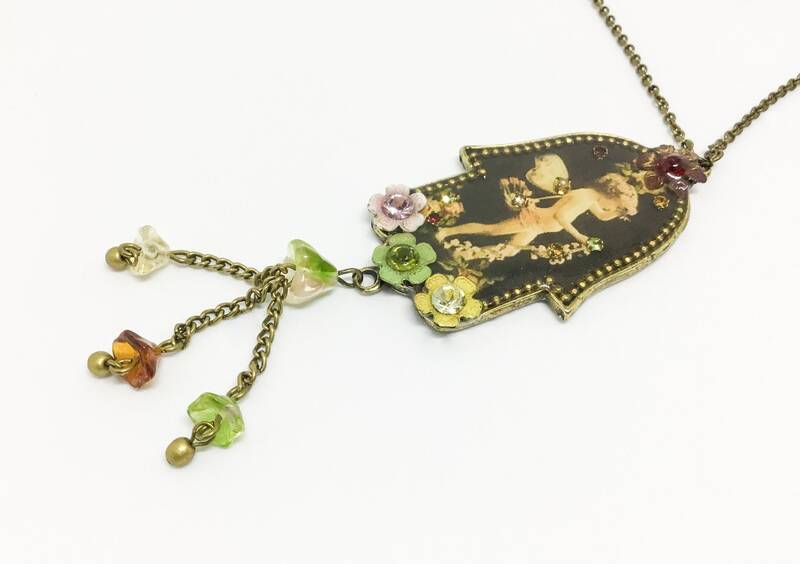 The picture is a standing Cupid holding a garland of flowers on a black background. 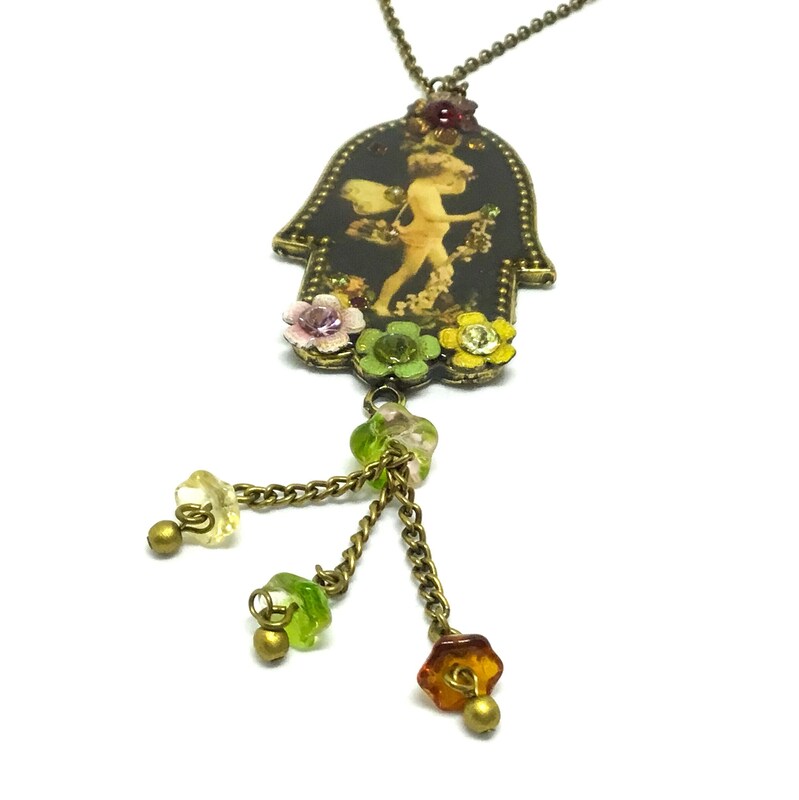 It has Swarovski Crystals and enameled brass flowers all under a polyurethane coating. 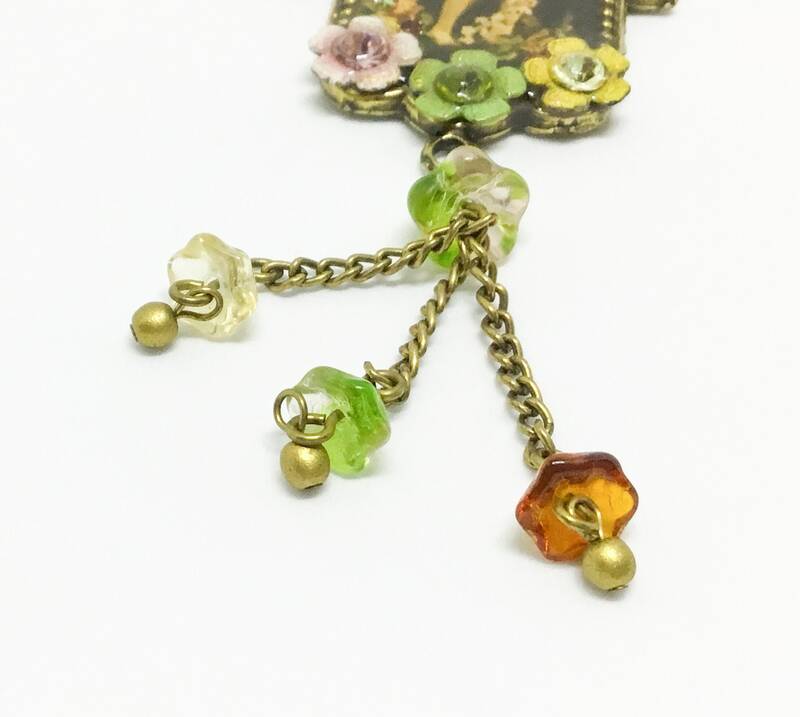 There is a unique flower bead dangle that is holding three more flower bead dangles with great detail. 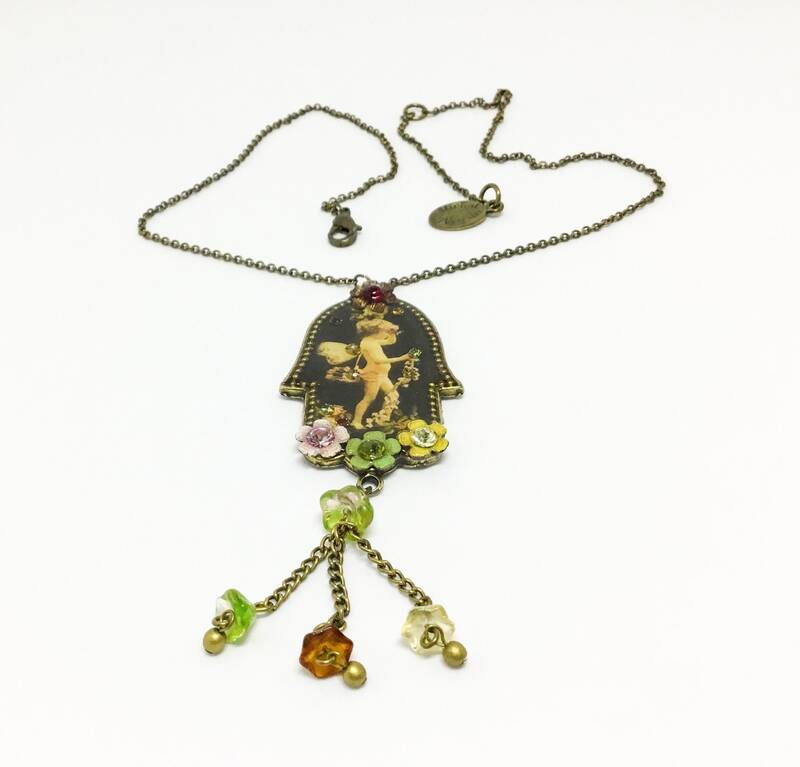 The pendant measures 3 1/2” including the dangles and is 1 1/4” wide. The chain measures 16” with 2” extender. The pendant is in excellent shape and ready to wear. 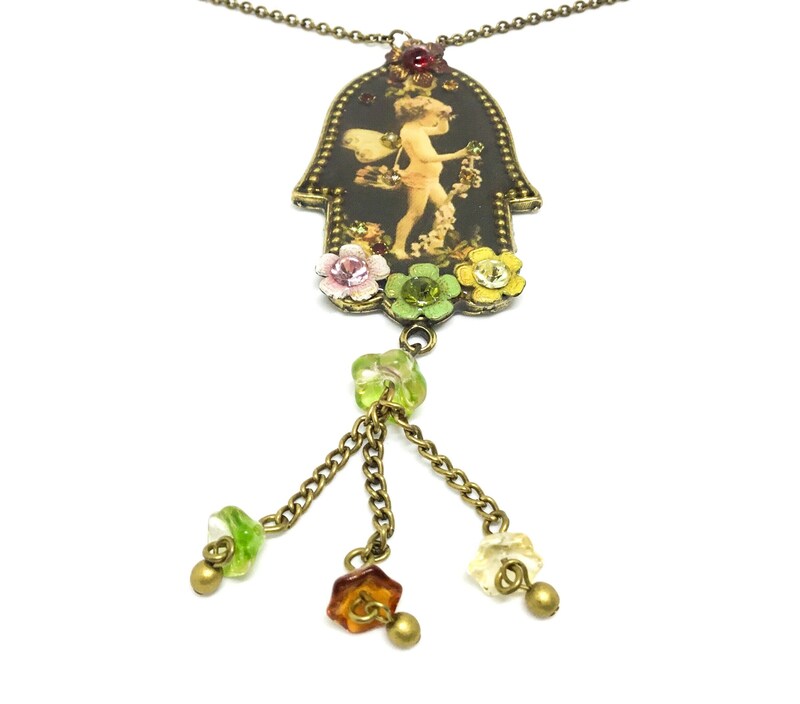 Michal Negrin is an international designer out of Israel who creates jewelry that has positivity, collectibility, unique beads, and rich and stunning color combinations.